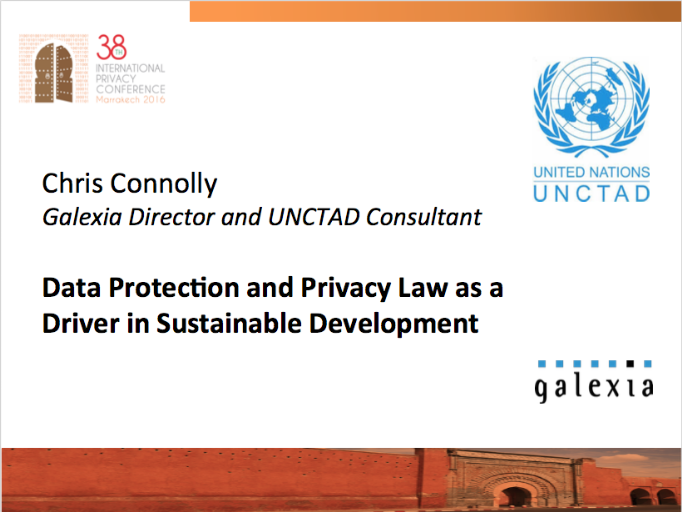 Galexia Director, Chris Connolly, presented at the Expert Peer Review Meeting on the Information Economy Report 2013 on 9-10 July in Geneva. The Information Economy Report is an annual publication issued by the United Nations Conference on Trade and Development (a regular Galexia client), and this year's theme is Cloud Computing. The meeting was a gathering of experts on cloud computing technology, law and policy from more than a dozen countries. Chris was the lead discussant for the report chapter on The governance, law and regulation of cloud computing in developing countries. The final report will be published in late 2013.